Just in time for the Chinese New Year—Feb. 20 and 21—Capitol Casino hosted a traditional Lion dance with lucky red envelopes, a match play promo and a beautiful whole roasted pork dinner to welcome customers to their newly remodeled Cal Games room. The Dragon Room features Blackjack, Baccarat, and Pai-Gow. Capitol Casino is currently going through an extensive remodel to better serve their community of loyal customers. It started last year when they fixed their parking problem by tearing down the old Big Al’s furniture store and putting in a state-of-the-art parking facility with plenty of LED lighting and a surveillance system. Once that was completed the work started on the casino. Now, with the Dragon Room complete, they are going to make their way around the entire casino interior and exterior. For updates you can check their website or social media platforms to see pictures and progress of the work being done. Capitol Casino expresses thanks to their customers for their extended patience during the remodeling period. Poker players can look forward to all new poker tables in the very near future—if they are not already installed by the time of this printing. Customer-friendly limit and no-limit Texas Hold’em as well as Omaha and a well-trained staff keeps the regulars coming back for a great gaming experience at Capitol Casino. $2K Tuesdays have been a hit since their inception at Capitol Casino. Every Tuesday night they give away $2,000 cash to six different winners—two $500, two $300, and two $200 winners. Entering the drawing is easy. With your free player’s rewards card all you need is a qualifying full house in cash or tournament poker games and you receive a raffle ticket. From the hours of 4 p.m. to 9 p.m. and 12 a.m. to 5 a.m. you qualify for double tickets. Show up on Tuesday night at 7 p.m. and you may be a winner. The barrel is emptied every week for a fresh start. 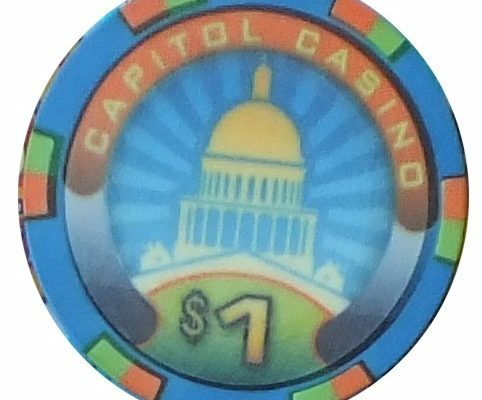 Please visit www.capitol-casino. com or phone 916-446-0700 for more information. Previous PostApril brings $190K to first at Battle of the Bay Next PostSpring winnings in bloom at Table Mtn.